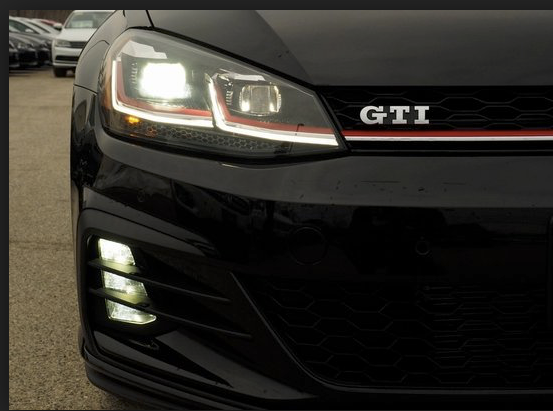 VWVortex.com - What does this light do? What does this light do? Thread: What does this light do? It is the orange side marker required by the DOT when low beams are turned on, in US and Canada. There's corresponding red ones in your tail lights also. Some people who don't like the look code them out with OBDeleven/VCDS. If I may add to this... coding out the front side markers will also code out the led's in the inter light housing too, as they share the same channel. Join Date as cooloregon: Aug 9th, 2001, now as VWoregon. MY17 CSG Sport; DSG, RSe12 hyper black's, CSS muffler, Bilstein B8/H&R sport springs, H&R 26mm rear SB; Ed's LED tails; 35% ceramic tint; OBDeleven coding. Ok this makes sense. Although considering how close the light is in the assembly to the DRL's and Hi/Low Beams, it seems useless. I suppose it would make sense if it was actually on the side of the car around the wheel arches, but putting it in the headlamp assembly seems to serve no purpose than to tick a DOT checklist box. Or swap to E-codes for the full effect. Bye bye amber. In 1982, also 14 years after the side markers were mandated, DOT conducted a study to analyze the effectiveness of the side marker lamps. They found a reduction of 106000 side offset accidents (about 16%) and a 21% reduction in non-fatal injuries in those accidents. Think about that before you deactivate your side markers. Back when sealed beam headlights were a thing, this might hold some water. But modern cars and modern headlights have essentially relegated the amber sidemarkers to mere formalities. Our cars and their DRLs are infinitely more visible than a tiny amber LED will ever be. in general, i tend to agree; but to the golf (specifically the mk7.5 lamp assembly) these side marker lamps seems useless. Personally i'm not sure i'm comfortable deactivating it - but in my opinion it doesn't look very good. And I'm sure you have a study to support that assertion. You're right, some manufacturers integrate them nicer - but - they are still required. If you are in an accident and you've deactivated a mandated safety device, then your insurance company can refuse to pay your damages and you can be cited. In addition, you can be found "at fault" because you didn't have all of the safety devices even if the lack of the devices wasn't the cause of the accident. Now you can decide what you want to do. as a side note to this - how exactly do import cars from Europe/rest of the world work legally speaking, that don't appear to have these lamps or any other feature(s) for that matter. Huh? In order to register a car in the US, it must comply with all of the regulations. Imports have all of the required equipment - including the sidemarkers. I Must have been wrong, I thought only the NA Golf's had marker lamps. Correct. 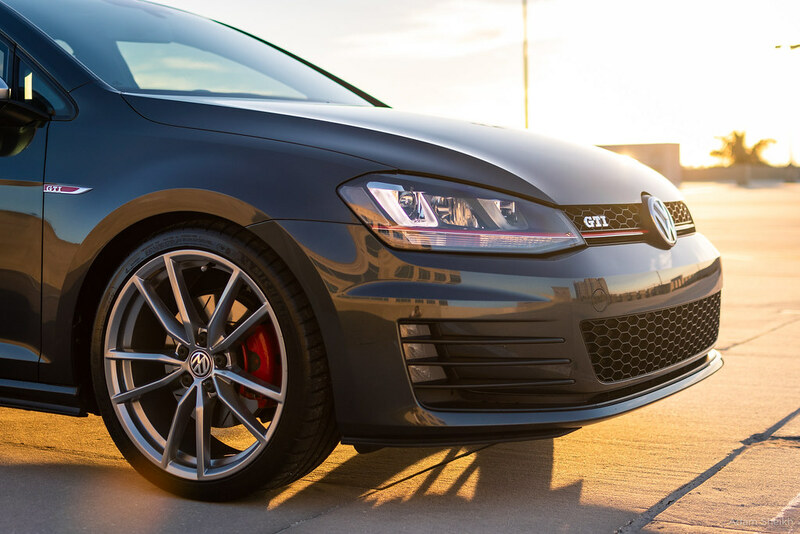 VW makes a separate headlight and taillight for NA to meet the US/CDN regs. Oddly enough, sidemarkers aren't permitted in Germany and the German modding community buys US lights to get the sidemarkers. I can't fathom why anyone would want to remove or code these lights out. They serve a purpose and they are VERY unobtrusive. It's the old change for the sake of change thing. No actual logic applied. I remember years ago when euro guys were adding DOT-spec side marker lights to their euro cars that didn't come with them. Why? Same reason - because of change for the sake of change. I doubt anybody had safety in mind, though that was an actual side benefit. Guess this spells trouble for anyone with/thing about the euro style tail lamps over here? Although technically speaking, you can see the light from the side as the tail lamp curves round the body? I feel like there should also have been a “this is absolutely ridiculous” somewhere in there. The euro incandescent outer tails that I have are reflective in the same way on the sides, but they do not have the little red LEDs like the NAR ones do. Which is one reason why Mk7 didn't get the LED tails. A very low risk tolerance is required. A properly installed film is invisible. If you go though a similar decision making process with your mods, then you'll most likely end up with a more reliable and effective mod with a lower possibility of getting into warranty or legal trouble. It is a lot more relevant than "nothing" or "although I know nothing about the subject, I'm jump in and give my expert opinion"
Some moron snapchatting or napping has nothing to do with lighting. Do you know the reason that sidemarkers were mandated? what does this light represent???? Audi 8E-->What does this light mean?